World leading EW technology and equipment. Consep’s electrowinning cell and rectifier combination are designed by our in-house experts who have extensive operational and technical experience over several years. Our key features are our dedication to improved operator safety, easy operation, low maintenance and high efficiency. These features ensure Consep’s electrowinning equipment represents the best technology on the market. In addition to our electrowinning cell and rectifier combination, Consep specialises in complete turnkey electrowinning plants. 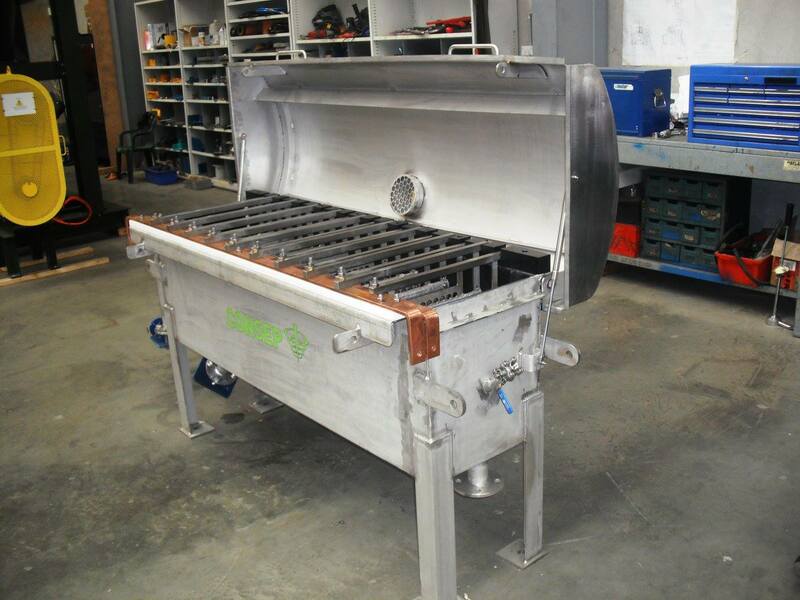 We are able to design and supply a wide variety of pump, hoppers, filtration and smelting equipment to suit individual needs, layouts and budgets. 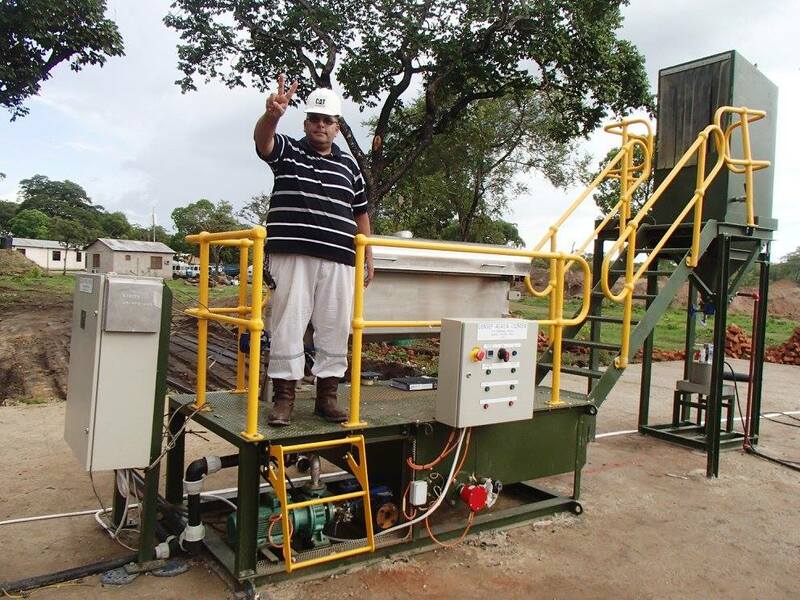 One such item is our cathode washing station with integrated sludge filtration developed from our clients need for a complete electrowinning package. Consep has supplied over 30 electrowinning packages and over 100 pieces of electrowinning equipment to projects worldwide. 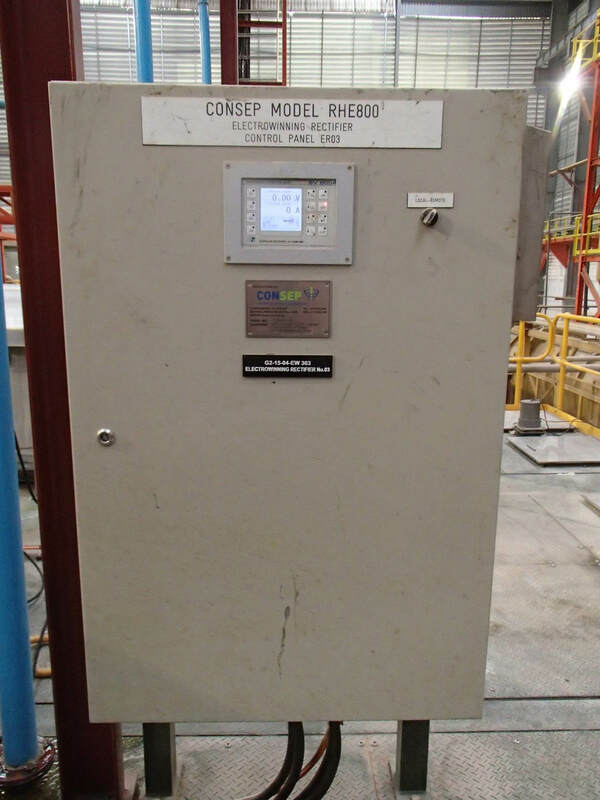 For any project, Consep has the design and capabilities to provide a safe, low cost, easy operating electrowinning solution to maximise your recoveries. Details of our EWC & Rectifier Combination and Cathode Wash Station are available below or feel free to contact our team to see how we can assist with your project. Consep’s Electrowinning Cells (EWC) is designed by our in-house experts, who have many years of operational and technical experience. Our fundamental design incorporates improved operator safety, easy operation, low maintenance, and high efficiency. 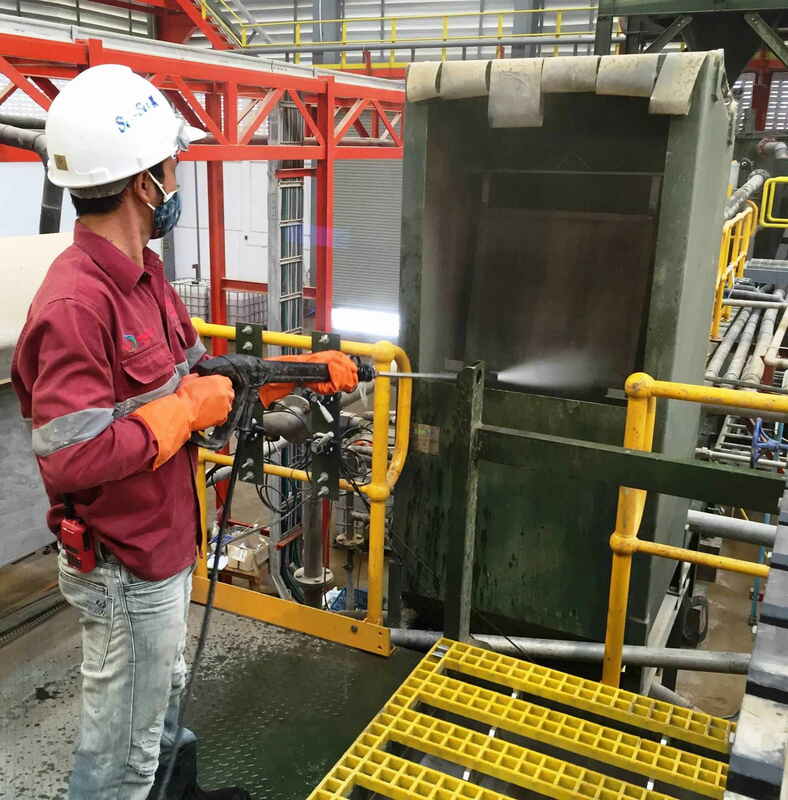 The cells are designed for ‘sludging’ operation, with the cathodes expertly fitted with stainless steel stocking from which the gold deposit is periodically removed by high pressure washing. The cells feature a light weight, yet strong curved stainless steel lid supported with gas dampers to minimise the weight and effort of opening and closing the lids. This also prevents the lids from slamming shut. An integrated fume extraction point on the lid of the cell, allows simple termination of the fume extraction system. The lid is designed to overlap the top of the EW cell tank walls allowing a constant flow of ventilating air to pass across the inside surface of the EW cell, which assists in keeping the busbar connections clean and dry. The cells include poly spacers attached to the anodes to ensure that the cathodes and anodes are equally spaced and do not come into contact. 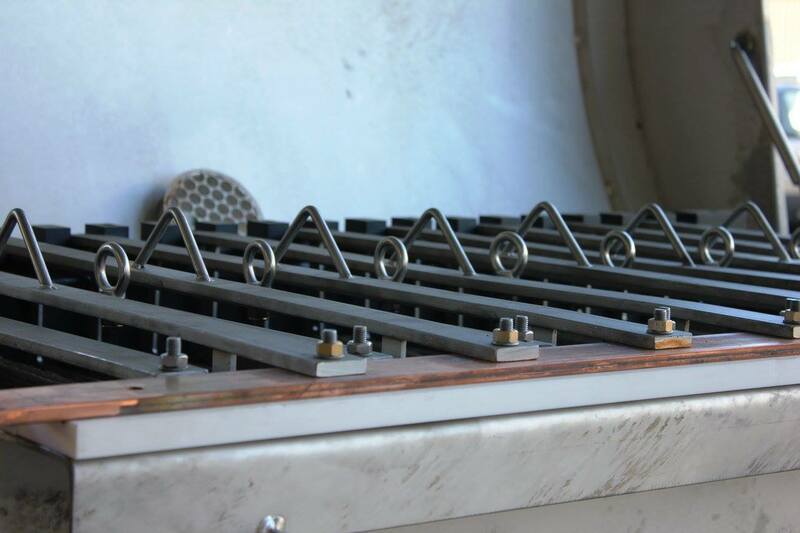 This removes the need for cathode baskets and eliminates the need for close tolerance grooves for the anodes or cathodes. Bus bars are also located on the front opening side of the cell, providing simplified maintenance with easy access to the cathode and anode frame connections and for the cleaning of the bus bars. Provision is made to connect DC cabling to both ends of the busbars to better disperse current thus minimising busbar temperatures at higher currents. The cells also use a V-notch weir at the discharge end of the cell, allowing simple calculations of flow rate. Discharge solution can be easily sampled through a special nozzle without unlocking the lid. The EW cell floor slopes towards the feed end with a drop box to assist with the removal of sludge. A decant outlet on the feed end wall allows the bulk of barren solution to be drained back to the pregnant solution tank before the sludge is drained. 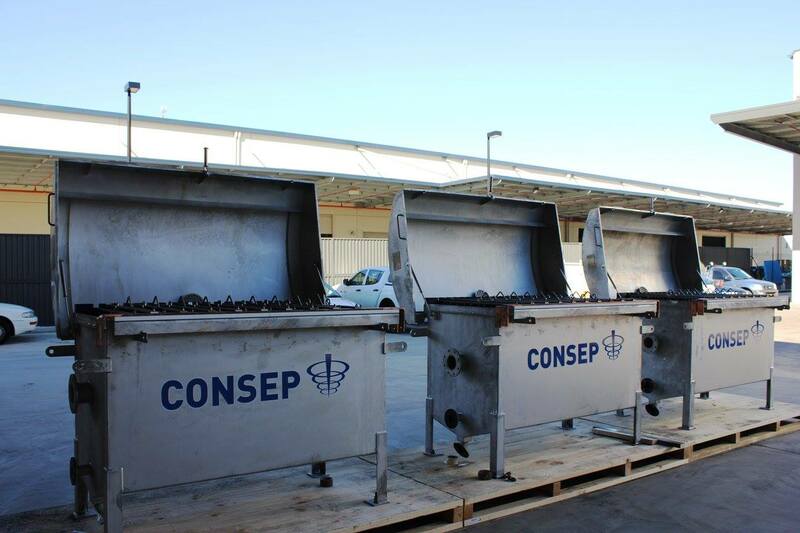 Consep’s cells are offered with the first fill of stainless steel cathode mesh. The 16 layer folded pads are expertly sewn onto the cathode frames by the OEM suppliers of the mesh. This ensures that the initial fill has maximised life and this will typically exceed 12 months. The cathode frame is specially designed to maintain the tension and spread of the mesh, reducing the risk of sagging under load and poor distribution of current density across the surface. Consep’s Rectifiers utilise the most advanced, proven and reliable Switch Mode technology. This technology has many advantages over SCR-Thyristor control and Variac control type rectifiers. These advantages includes being much smaller in size and lighter in weight, higher efficiency of up to 85%, low electricity demand and fast response to AC input fluctuation and DC output variations. It allows precise current and voltage regulation with very low output ripple over the entire output range and provides a uniform power factor of typically 0.95. The rectifiers are designed to suit the selected electrowinning cell duty and I enclosed in ventilated IP54 stainless steel panels with sport frames and floor mounts. Our rectifiers are rated for 50°C and includes an over temperature mode, which allows the rectifier to automatically reduce output until the temperature reduces rather than switching the unit off. Both current and voltage are limited simultaneously according to their respective set point permitting the operator to set both a maximum current and a maximum voltage with output controlled such that neither is exceeded - ideal for the dynamic loads encountered during electrowinning applications. Consep electrowinning cell cathodes are fitted with stainless steel stocking from which the gold deposit is removed by high pressure washing. To assist with this, Consep has developed the Cathode Washing Station. The Cathode Washing Station is a self-supported, skid mounted structure consisting of the washing cubicle, settling tank and skid for the pressure filter. The washing cubicle incorporates mounting frames for the cathodes to be washed in and overlapping clear plastic strips to reduce back splash. The cathodes are washed with a light commercial pressure washer. 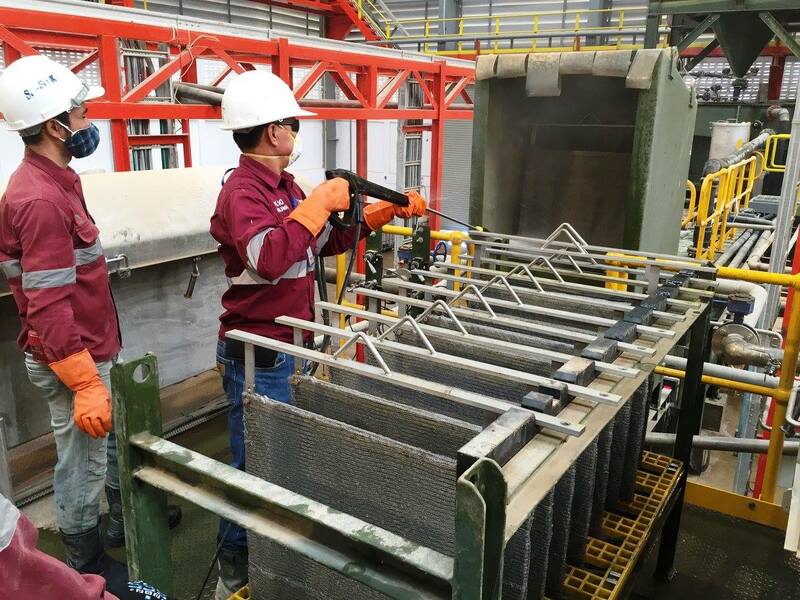 Washed concentrate from the cathodes are collected and settled in the settling tank which incorporates an inlet to receive any sludge from the bottom of the EW Cell (via sludge pump) to ensure all gold from the EW Cell is collected. Water is periodically decanted from the settling tank through any one of three valves located at different levels on the side of the tank. Decanted water and filtrate may report to the client’s barren solutions tank. A vacuum filter c/w paper and cloth is situated below the Cathode Wash Station Cubicle which the precipitate and sludge is dewatered. 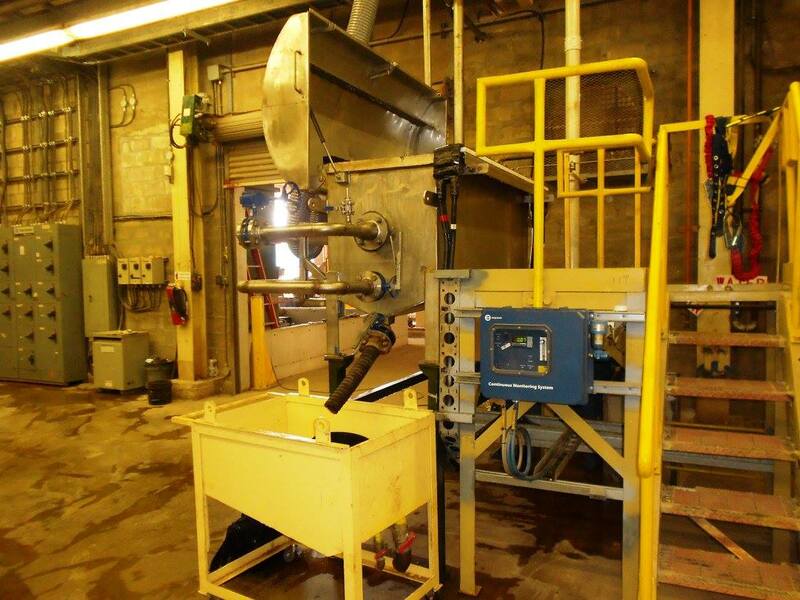 The concentrate cake from the vacuum filter is collected and sent for smelting. 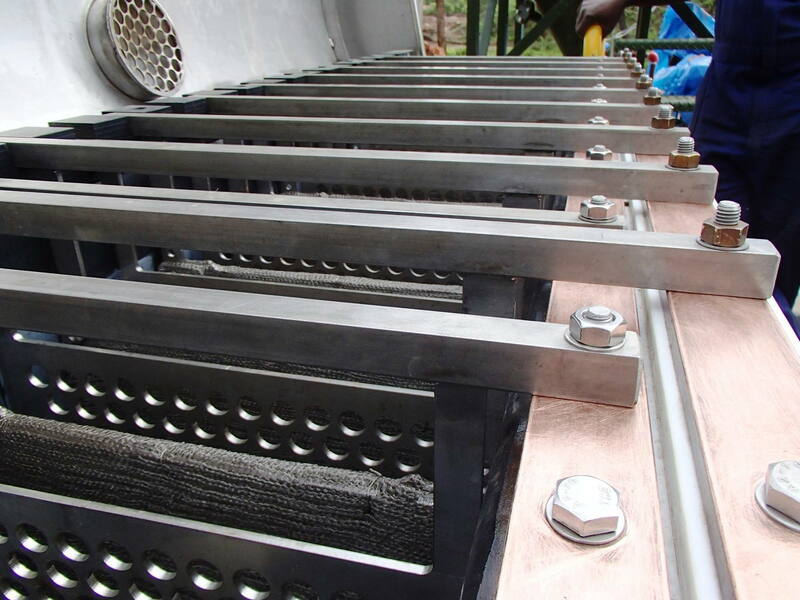 The Cathode Washing Station is skid mounted, allowing it be ready for installation anyway on site. 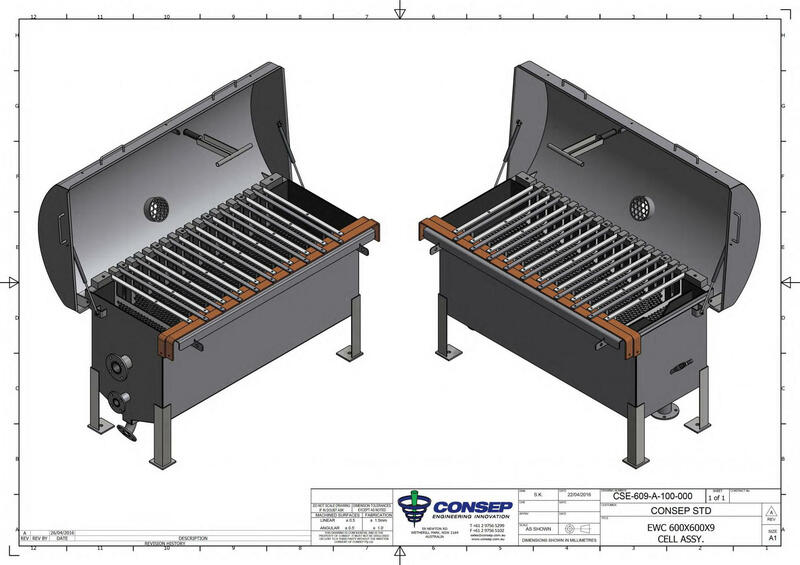 Consep also has the ability to design the washing station so that I can be integrated with any existing equipment such as the Consep Acacia and EW Modules. The Cathode Wash Station will only require your typical site utilities such as compressed air, water and power supply.